Loads to do: Almeria holidays have an enchanting combination of historical sites and fun family activities. 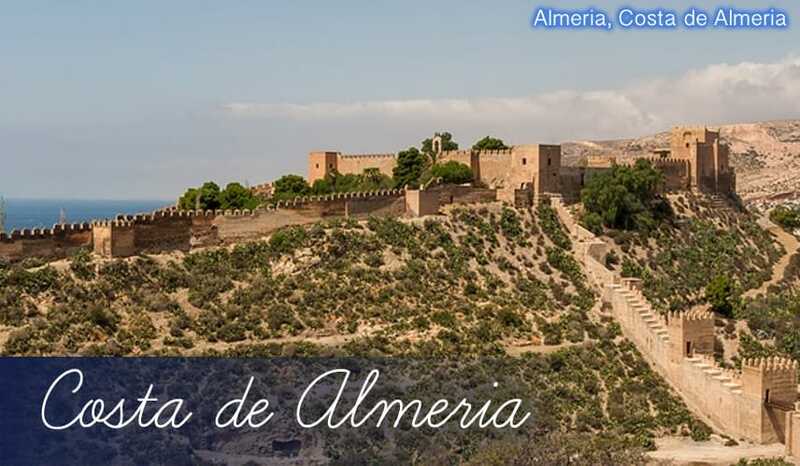 With castles, cathedrals and modern theme parks, you can be sure you’ll never be stuck for things to do on holidays to Almeria. Enjoy all the variety of all inclusive holidays without any of the restrictions! Great beach: Almerimar beach near the centre of Almeria is wide, long and surprisingly quiet. It’s popular with divers and swimmers over the summer months due to the calm currents and beautifully clear water. Incredible landscapes: Inland, you’ll see on holidays to Almeria that it has a unique unspoilt landscape with a very dry, dusty look. As such it was used extensively for Spaghetti Westerns in the 1960s and 1970s. A great way to really capture the atmosphere of these films is to visit the Oasys Theme Park, which recreates the settings perfectly. Or if you’d prefer to see truly natural surroundings, visit the Cabo de Gata Reserve with black volcanic beaches and even more movie locations. Alcazaba of Almeria: Built in 995 when Spain was under control of the Moors, this huge citadel has an eastern-inspired design which still casts an imposing, but beautiful sight on holidays here over 1,000 years later. There are actually 3 lines of walls making up the boundaries of the citadel, with the 3rd line being built much later by the Catholic rulers of Spain in the 15th century. Up close, the intricate Moorish patterns are awe-inspiring and the interior garden is an oasis of calm. It really is a principal attraction on holidays to Almeria. Almeria Cathdral: Unusually, this cathedral looks rather like a military fort from the front, which belies Almeria’s colourful history of battles and disputes. Inside, Almeria Cathedral has a much more familiar Christian look and feel, with stained-glass windows, high buttresses, and religious effigies. Museum of Almeria: A very modern design inside and out for this museum which focuses on the history of Almeria. The artefacts shown here date right back to ancient times, with many exhibits inextricably linked to the findings from the Alcazaba. As such, this museum will make a great complement to your visit to the old citadel during holidays in Almeria. Contemporary art museum: There’s a large selection of artworks on display in this large, wonderfully designed gallery. Many pieces have been selected from local or native Spanish artists, so it’s an excellent way to get a true understanding of the culture while you’re on holidays in Almeria. Cable Ingles: Literally translated as ‘English Cable’, the name doesn’t really do justice to this huge ironwork structure. It was originally developed by a Scottish Mining company for extracting iron ore, so maybe the ‘English’ title isn’t as accurate as it should be! The mining continued for 76 years, from 1904 to 1980, after which time Cable Ingles became redundant. The structure remains an impressive feat of engineering though, and it’s currently undergoing a renovation project to house restaurants and an exhibition centre. Oasys Theme Park: A real treasure for film buffs, this theme park incorporates a set designed by Sergio Leone, the famous director of Spaghetti Westerns. Almeria was often used as a location for westerns as its arid desert-like landscape matches the look and climate of the Wild West. It’s a top place to get some great photographs during your holidays here. As if that wasn’t enough, there’s also a large zoo with lots of exotic animals from all over the world, plus a themed swimming pool with fun waterslides! Playa de Almeria: Located in the centre of Almeria, this long wide beach has soft golden sand and calm waters. The headlands help to block any strong currents too, making it an ideal place to try out water sports whilst on your holidays. Almerimar beach: This 3km-long beach is very flat and expansive, with great mountains views to the east and low-lying landscape to the west. It’s also a very quiet stretch of sand, and links on to a natural park at the end filled with lots of different species of birds. Zapillo beach: A 1.3km-long beach that’s conveniently close to the town centre of Almeria. The soft golden sand and calm, shallow waters make it ideal for family holidays too. 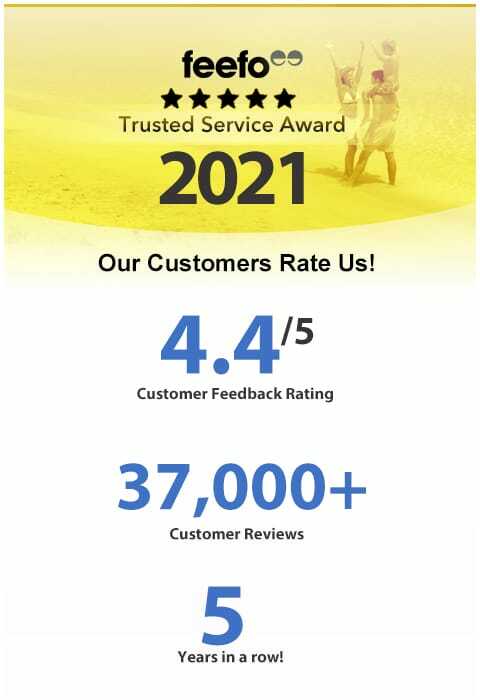 Thanks to its Blue Flag status, it’s always kept clean and tidy and it’s well facilitated with showers and toilets. Casa Puga: Right in the historic centre of Almeria, this excellent tapas restaurant serves hot and cold varieties of lots of different dishes, some of which are characteristically Almerian. Try the small sections of toast dipped in olive oil and topped with tuna, cured ham or scrambled eggs with garlic and mushrooms. An authentic taste of Spain during holidays to Almeria. Los Pastores: An incredible view awaits you at this Italian-inspired restaurant which overlooks the mountains. But it’s not just about the scenery! You’ll also enjoy the large selection of pasta and pizza served here, which includes all the classics like Spaghetti Carbonara, Beef Lasagne and Margherita Pizza. Asahi: A brilliant Japanese restaurant, with spotless decor and extremely fresh food. If you’re feeling adventurous, why not give sushi a try? Sure, it’s raw fish but it’s perfectly safe to eat and tastes very different to the cooked variety. Asides from sushi, you can try many other Japanese delicacies here, such as Chicken Tepanyaki. This restaurant makes a great change from the typical fare you might expect at beach hotels or on all inclusive holidays. International bar scene: You won’t find many clubs on Almeria holidays, but there is a huge variety of bars that’ll suit every type of tourist. Being a major city in Spain, Alemeria has many authentically Spanish bars such as Calle Mayor, Bar La Charca and El Turia. The great thing about these bars is that they also serve tapas, so you can have a tasty traditional snack while you sip your drinks. Additionally, as Almeria holidays are popular with the British, there are a good number of English-speaking bars such as The Rusty Nail, Millionaires Sports Bar, and the Irish-themed Hannigan and Sons. COPO Parque Comercial: This large shopping centre has every type of outlet you could imagine, from supermarkets to fashion boutiques, homeware shops to cinema screens and restaurants. Many of the shops are exclusively Spanish, which is brilliant if you’re after something unique to bring back to your family and friends after holidays here. Of course, you could also treat yourself too! Almeria Market: Every Friday morning there’s a large market in Almeria in a square named Plaza de Toros. There’s a colourful array of produce on offer in the stalls, including fresh fruit and vegetables and hand-crafted clothes. The bargain prices in the stall make cheap holidays to Almeria a real possibility.